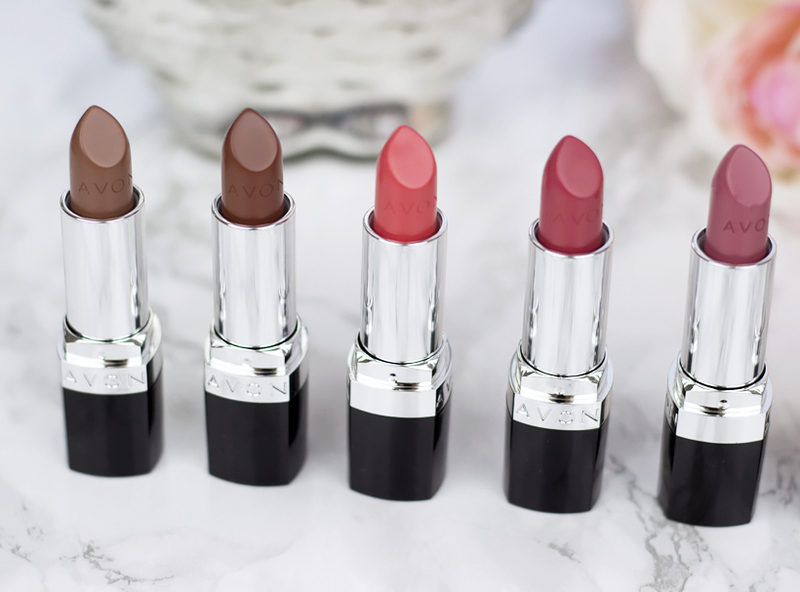 Avon True Color Nourishing Lipsticks Collection Review & Swatches! I have to say that after being completely obsessed with matte lipsticks for quite some time, now I am finally gearing towards more creamy and moisturizing finishes. 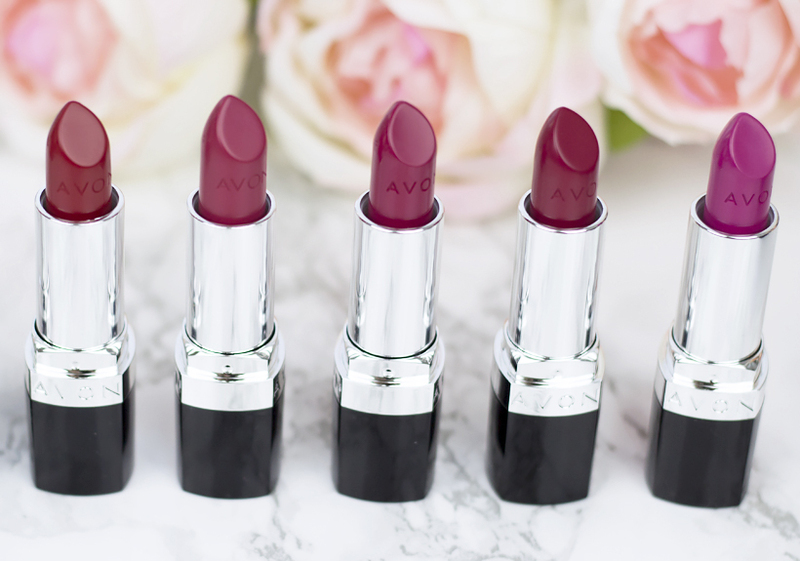 I've never tried AVON lipsticks before so I was very curious to see what their True Color Nourishing lipstick collection has to offer. I was able to receive all shades for testing purposes and right away I am glad to admit that they all have the same pigmentation as well as super moisturizing feel to them. 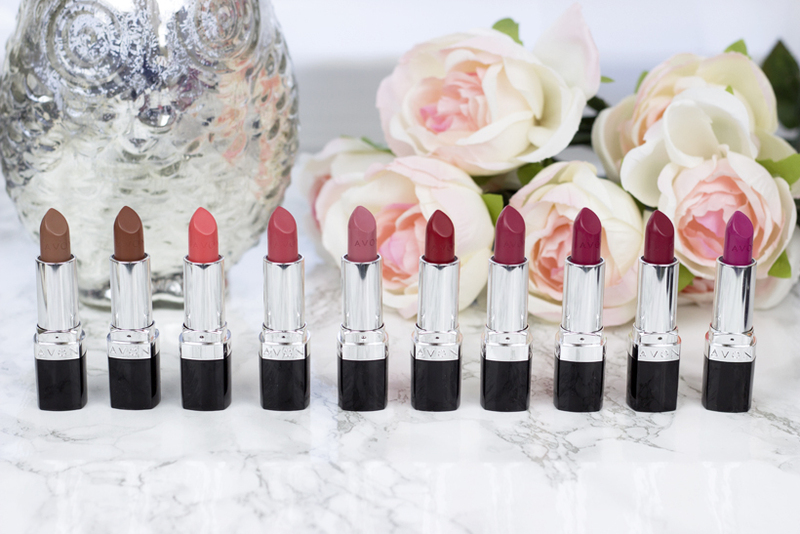 AVON True Color Nourishing lipsticks are infused with jojoba oil, vitamin E, collagen, and lanolin and offer a nice buttery satin finish. I tried literally every single shade and in my opinion, all shades are extremely wearable. Even the darker color look so flattering on and glide on lips even and smooth. Some of my favorite shades include Peony Blush, Cherry Blossom (which is more coral than the swatch above shows) and Candy Red. Berry Sangria is a great dupe for super popular MAC Rebel shade. 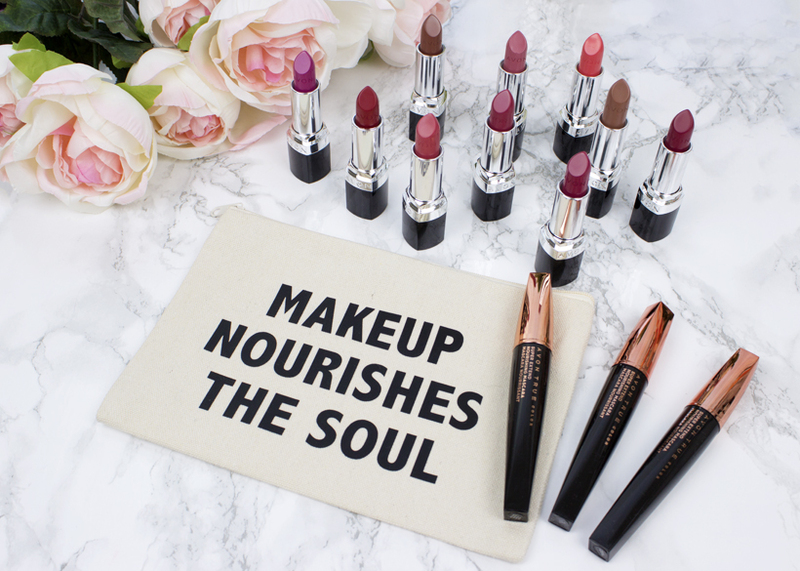 I think my favorite thing about AVON True Color Nourishing lipsticks is the fact that well, they do feel extremely nourishing and moisturizing. Do you know those lipsticks that feel nice and buttery when you apply them but then after few minutes start to dry out your lips a bit? That is not the case with these. I was able to enjoy them on for a good few hours too before the need to reapply. These babies are not only nicely pigmented and feel extremely moisturizing but they are quite affordable too! I love the color selection as well as the lasting power. Don't forget to check out AVON's official website for more information!